Let me tell you of a lovely day in the gem that is Akko; and how we did better than Napoleon. We started our day slowly by all lazing about in bed reading on our iPads. Even if this wasn’t how we start most days, this one could be justified as sightseeing because our hotel is actually built into the city walls. 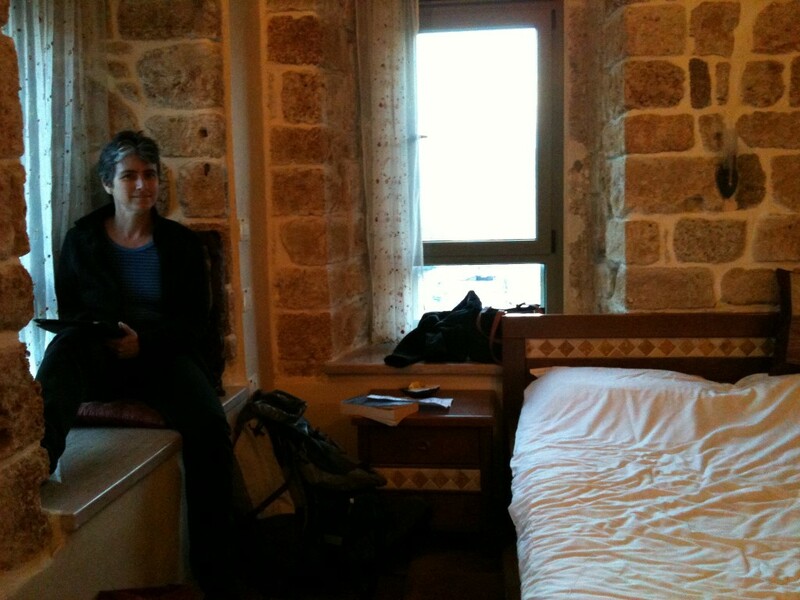 So when you’re resting your head on Crusader walls in bed – that’s sightseeing. Prisoners in a Crusader dungeon hall. 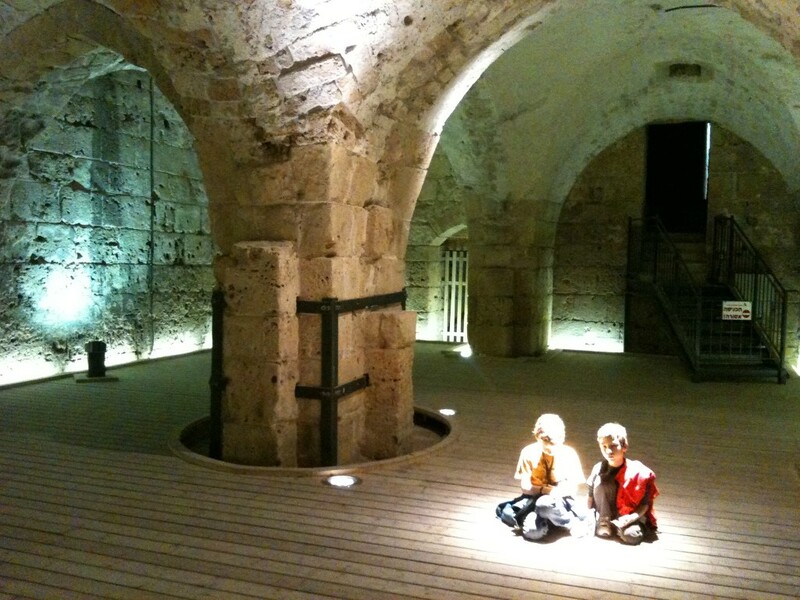 Akko’s incredibly well-preserved walls and halls have lead to its inclusion on the World Heritage list. And they are extraordinary. At its Crusader height Acre was generating more money that the whole of England, way more, so the Crusaders had the resources to build big. The Crusader halls were built on top of Greek buildings, then once the Arabs took over from the Crusaders they built a raised city by filling the Crusader halls with dirt and using them as foundations. 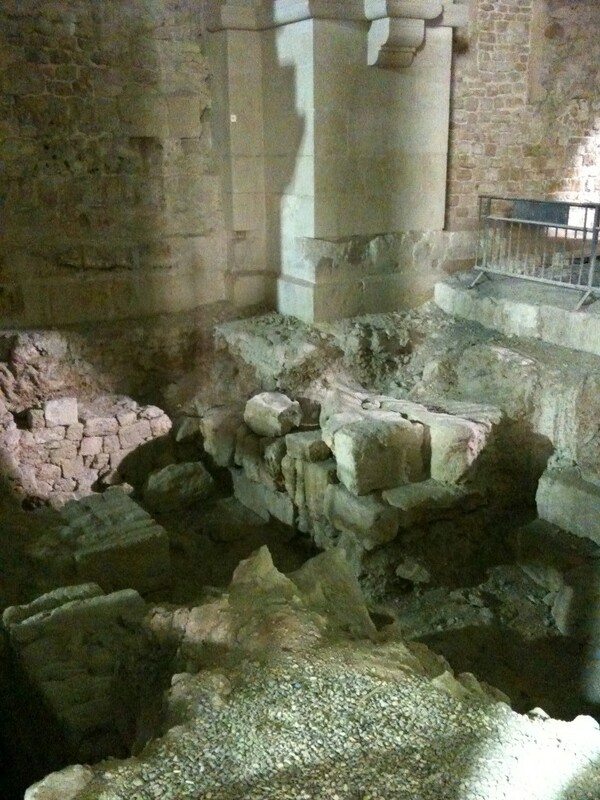 The good thing about is that the Crusader remains were perfectly preserved, they just needed to be dug out. Looking in to a hall. Hall where pilgrims were cared for. On top of all this are the fantastic walls and buildings built by various Arabic rulers intent on keeping people such as Napoleon out. Napoleon really, really wanted to get in and besieged Acre. He, managed to get through the outer walls, which is frankly astonishing, but was driven back and eventually retreated entirely. In the process he lost his guns and they now sit on the walls proudly pointing out. Walking around the walls you wonder that anyone would even contemplate trying to come in uninvited or that Napoleon came as close as he actually did. 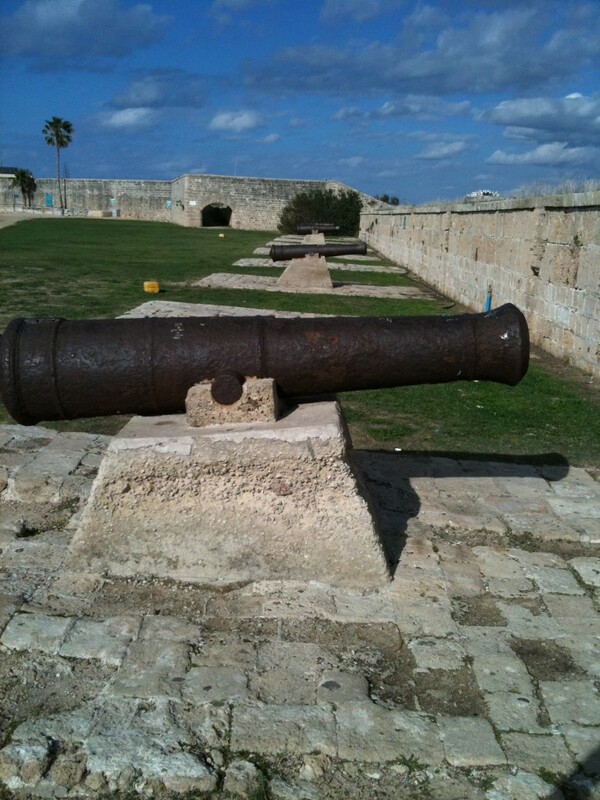 Napoleon’s guns on the walls of Acre. 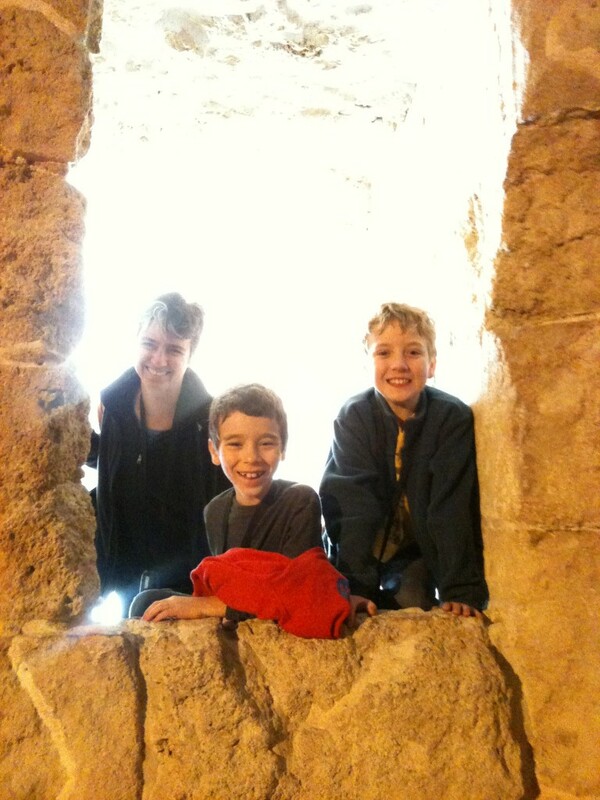 A visit to an ancient hamman or bathhouse provided a strange counterpoint to the huge fortifications. 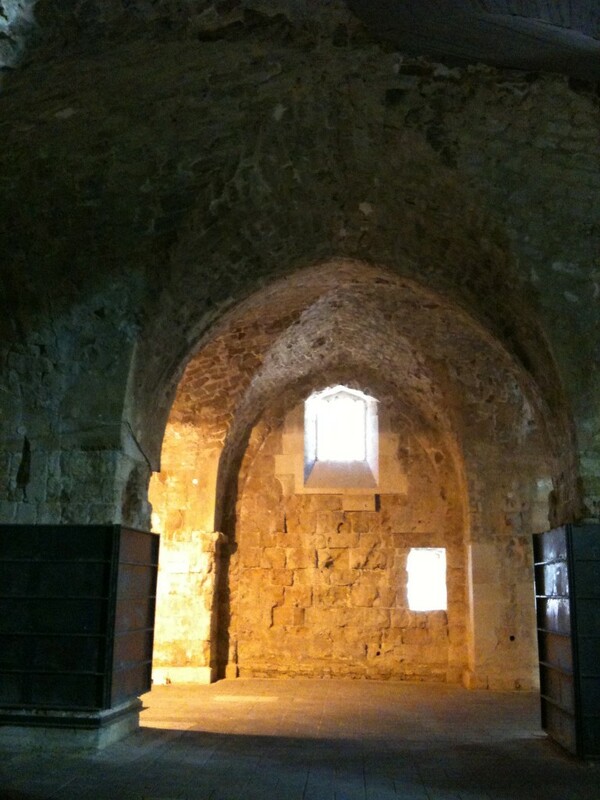 The bathhouse was the centre of the Akko community for generations and remained open through thick and thin. In the 1930s it was shut down for two weeks after the Jewish resistance used it as means of breaking into Acre Jail and freeing some of their imprisoned members. Not long after it shut for the last time as people began looking upon baths as a private undertaking. The hot room of the hamman. Much of the Crusader remains have been discovered in the last twenty years. This includes a great tunnel made by the Templars and discovered a few years ago when some workmen were trying to unblock a drain. The tunnel is great fun and pops you out by the seawall and the lighthouse. The wall provides a great view over the Mediterranean Sea. We stopped in the sun, sipped on freshly squeezed orange and pomegranate juices and watched huge jellyfish glide by the walls. Running the waves at the Sea Wall. The broken concrete leading out to the old Sea Gate provided a great opportunity to beat Poseidon at his own game and race the waves over to the other side while watching the fishing boats come home. One of the lovely things about Akko is that amidst all of the riches of history, it is still a working town. The harbor is filled with little two-person fishing boats which deliver their catch to the souk and local restaurants. There are little shops selling kitchen goods, hardware and other daily necessities. Up stairways and behind old doors are people’s houses. Down the smaller streets they sometimes leave their front doors open to the world, providing a little insight into daily lives. And all of this is down twisty stone alleys with gutters running down their centre – alleys no car can fit down, providing a great walking experience. 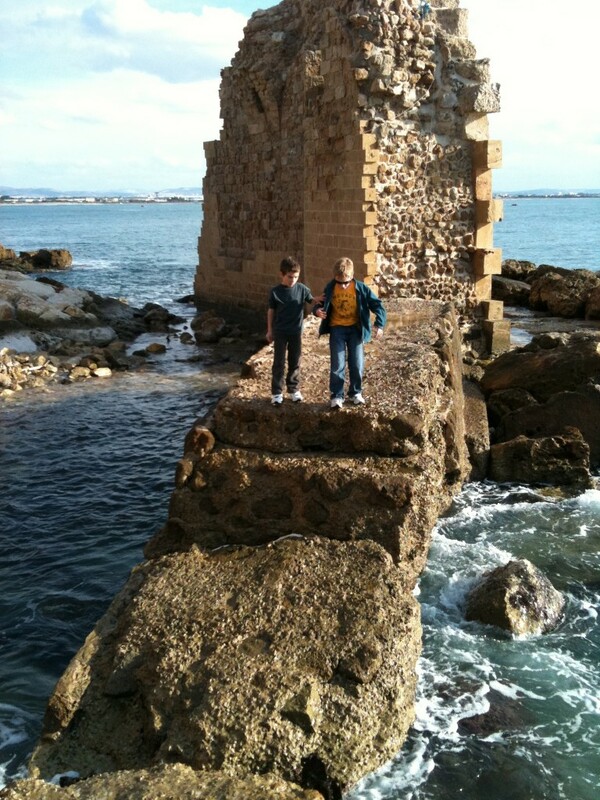 Akko really is a wonderful place and we just had a great day exploring. Bet Napoleon wished he could have had such a great time here.